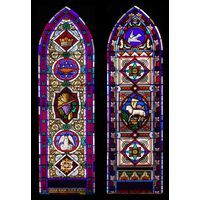 This winsome rose window is part of an attractive matching set of circular designs worked in pleasing primary colors. 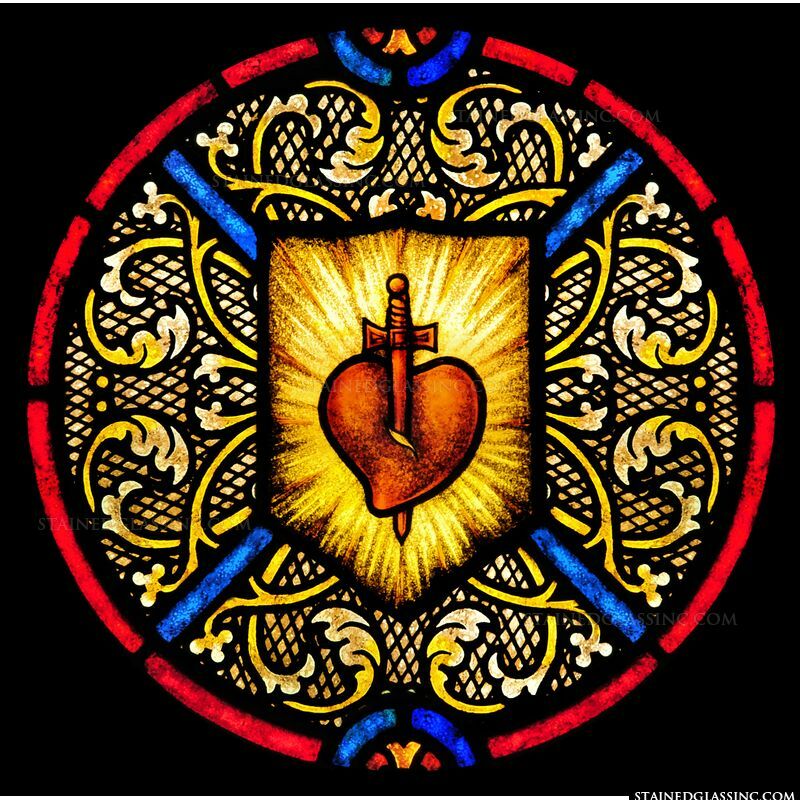 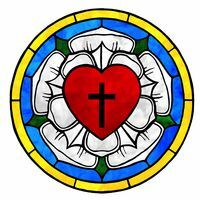 The central golden shield features the sacred heart pierced by a sword surrounded by curling leaves on a lattice background while the bright blue cross makes a striking contrast with the red border. 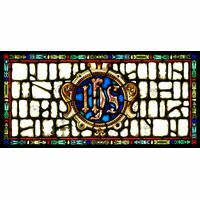 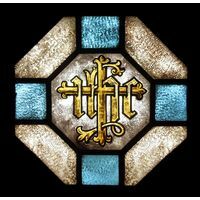 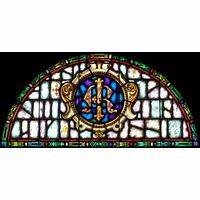 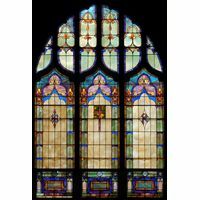 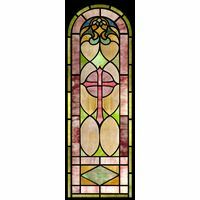 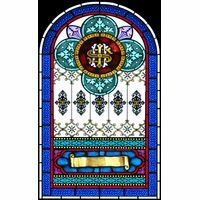 This would be an ideal choice for any place of worship as a window or door insert, or as a suncatcher.